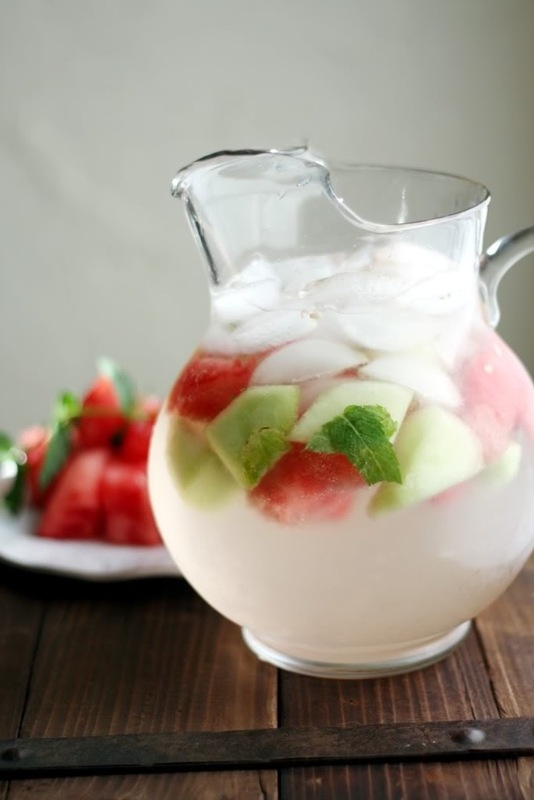 Pour all of the diced melons in a large glass pitcher. Top with ice. Gently muddle mint leaves with the lemon juice. Add to pitcher. Pour wine last into the glass and stir with a wooden spoon.